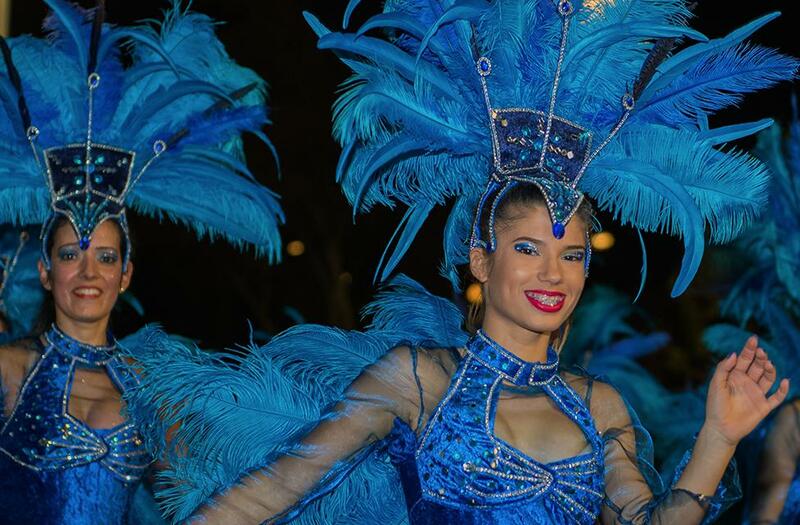 Carnival is the most contagious burst of joy! There’s no escape from the rhythm of happiness you’ll feel in the month during which sparkle, colour and optimism take over the entire Madeira archipelago. This is the party where everyone can be whoever they want to, and smiley faces abound. Streets gain a different liveliness, a momentum that keeps up with the energy and rhythm of the music that is meant to be more upbeat than ever. 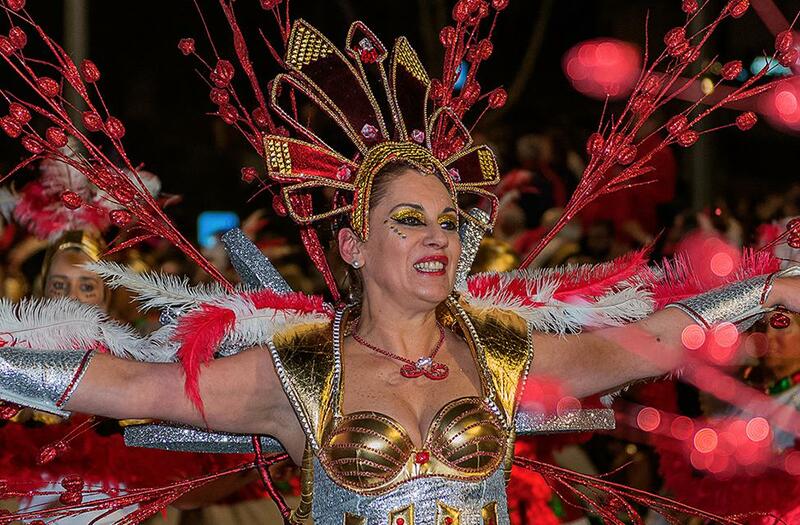 It’s on Saturday night that Funchal makes way for the show and turns into a true sambadrome so that the audience can watch or take part in the popular Allegorical Parade. Joy spans from one end to the other: the party begins in Avenida Sá Carneiro and goes all the way, always dancing, till the end of Avenida do Mar. But it doesn’t end there. There isn’t a time for going home and celebrations drag on into the night. Do you know that feeling of laughing till your belly hurts or till you cry? That’s what happens on Mardi Gras Tuesday. 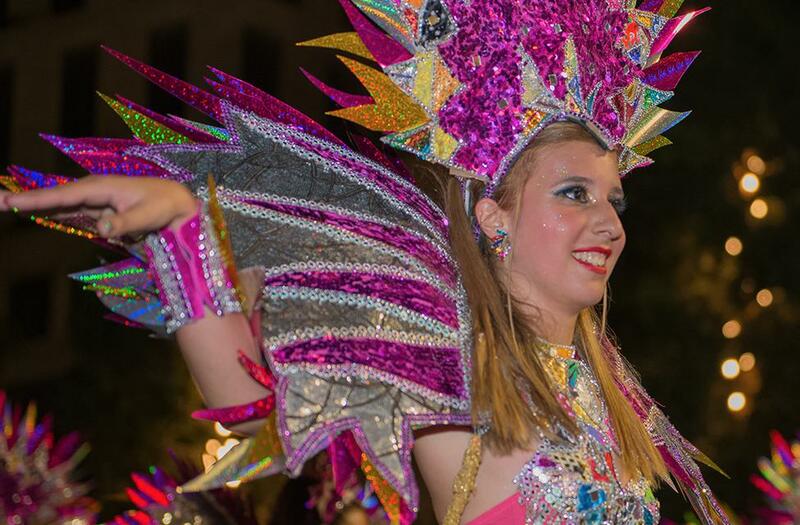 Bring good vibes and hearty laughs in your pockets, because the traditional Cortejo Trapalhão (Clumsy Parade) is an event you don’t want to miss out! A contemporary satire wrapped up in a great crust of creativity is sure to entertain and amuse the audience for a couple of hours. 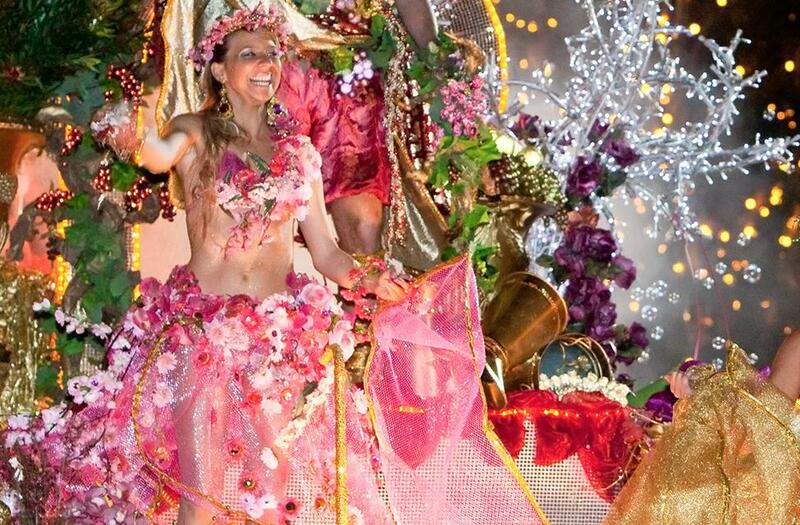 The Carnival party calendar is rich and diversified, as themes, colours and the overall spirit of fantasy and fun are widespread across the Madeiran villages. 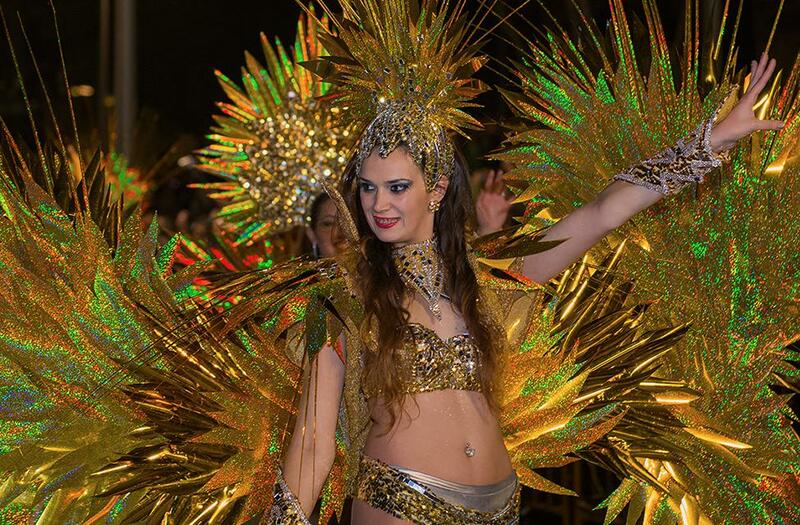 You just have to let yourself go with the flow and make mandatory stops in several municipalities to watch the lively carnivalesque parades.